HERE'S A CLEVER WAY to keep your piywood organized and easy to access. Build this swing-out storage unit. 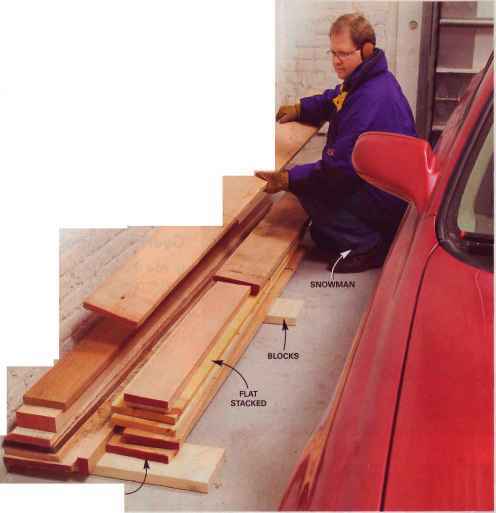 It fits the space along the side of the garage perfectly and allows you to access any piece of plywood because it works like a file folder. You can buy all the materials for it at a home center for around 75 bucks.The hinge is made of 1" pipe parts and fastened to the end of the storage container with 1" pipe straps.The pipe is connected to the wall with pipe flanges.The unit rolls on four 3" nonswiveling casters. Vertically when you're alone, it's a real chore to unearth boards from the bottom of a horizontal stack. Boards stored upright against brackets are easy to see and sort. Just flip through the boards and tip out the ones you want. You don't have to lift anything. Stable Lumber Rack lumber racks always get stacked high with project leftovers. 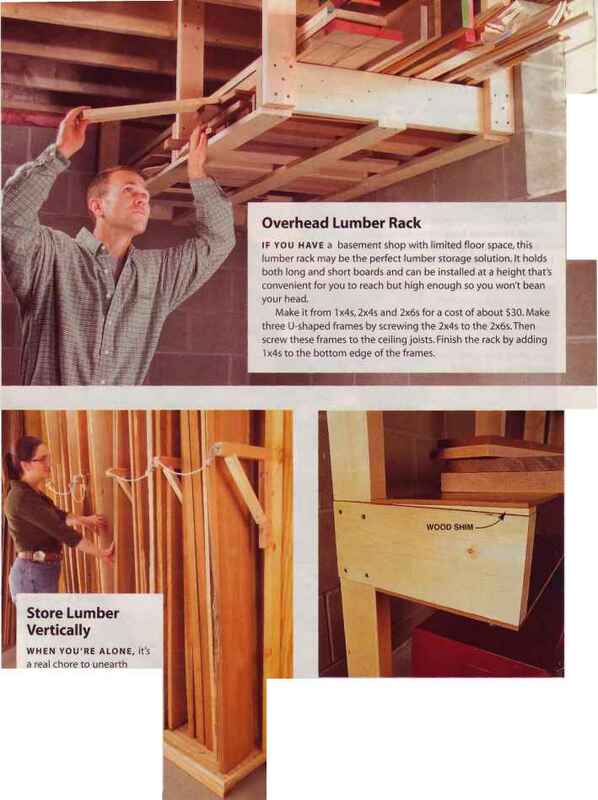 Here's a trick for keeping a wobbly stack tipped in the right direction:Tack a wood shim onto each rack support so the stacked lumber will lean slightly back into the rack.This keeps any leaning towers of lumber from toppling the wrong way! 1 x4s to the bottom edge of the frames.